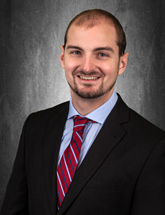 Brian Lindgren | Brown Commercial Group, Inc.
Brian joined Brown Commercial Group in 2014 after graduating early from the University of Illinois at Urbana-Champaign. After working as an intern with the Brown Commercial team in 2013, he earned his brokerage license and began working as a Sales Assistant. Brian helps clients throughout the Chicago suburbs evaluate their industrial real estate needs and find the space that best achieves their business objectives. He is dedicated to superior customer service and identifying the right opportunities for his clients.